You Can't Spell "House" Without "Us"
At Addictive Builders, we have an addiction that we have no intention of kicking. You see, we couldn't kick it even if we wanted to. Since 2011, we have been consumed by our passion to transform addresses into the sights of dream houses. As a result of having an ambitious staff with over 20 years of combined experience, we have a knack for embracing every single small detail in order to separate us from the rest of the industry. Details matter. And we recognize that the details of the final bill matter to you. We offer services that will fit within your budget while also exceeding your expectations in terms of the outcome for your home. It is this superior quality at an affordable price that keeps our clients coming back to us time and time again whenever their homes need remodeling, repairs, inspections, additions, or completely new construction. We serve residents all over the Black Hills area. We can help you if you are located in the vicinity of Rapid City, Sturgis, Spearfish, Belle Fourche, or Black Hawk. If your home needs a facelift to keep it current with the modern styles, we are the company to call. We provide a professional touch with the use of high-quality materials and craftsmanship. Most importantly, though, we listen to your ideas in order to get a complete picture of what you want the finished product to look like. After you contact one of our friendly representatives, we will come to your home and talk with you about the projects that you would like to be completed. We will assess the job and offer a fair quote. 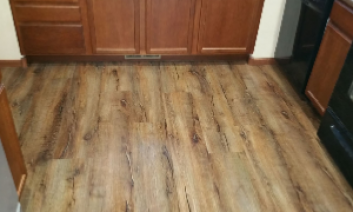 Once you ask us to complete the job, we will work to the best of our abilities to ensure we stay within the quoted price range while finishing the remodel in a timely fashion. From bathrooms to kitchens to basements and more, we are the company that you can trust with bringing out the beauty throughout your home with a remodel that will leave your future guests more than impressed. We even offer our own custom-built cabinets to create a top-of-the-line appearance in your kitchen that is unique to your home. Whenever there is a problem with your home that needs fixing, calling the wrong repair company can turn into a costly disaster. With the wrong people working on your house, a minor repair can turn into an array of repairs that seem to never end. Because you call the wrong company, your headaches get worse and worse until you feel like giving up. When you call Addictive Builders for needed repairs to your home, the headaches become a thing of the past. We perform repairs that last. 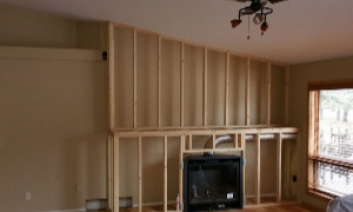 Whether you just need a small patch to your drywall or a complete overhaul of a room's framing, we would be happy to put your mind at ease with a repair job that will leave you pleased with the outcome. Another costly mistake made by some homeowners is not having a home properly inspected before purchasing it. At Addictive Builders, we understand the frustration that can come from buying a home with preexisting problems that you had no idea were even there. Don't get stuck with a house that you would have never bought if you knew the problems that would surface once you moved in. Contact us for an affordable inspection that will leave you knowing what you are getting yourself into before you sign a contract for a home and shell out a down payment. Maybe you have decided to add a deck to your house. Maybe you want to extend a few rooms of your home and add to its square footage. 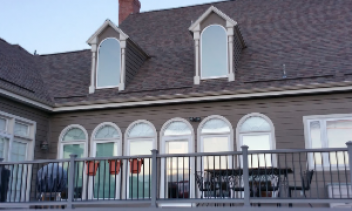 Whatever addition or extension you have in mind for your home, Addictive Builders is the company to choose to ensure the job is completed with the right tools and craftsmanship the first time so that the aesthetic value can be maintained without future costly repairs. When it comes to adding a structure or extending an existing structure, our staff has the experience to do what is necessary to achieve the outcome that you have been dreaming of. When you entrust your job to our company, you get the result that you desire. As a result, our clients do not hesitate to call us, again and again, every time they need work done to their homes. While we do offer a variety of services to maintain and upgrade existing structures, we are also more than capable of starting from scratch. If your family is planning to build a new home, picking an experienced builder is the key to your satisfaction. Deciding to entrust the job to Addictive Builders is a decision to put to work a team of more-than-capable professionals. Our company would be delighted to take your vision of what your new home should look like and turn it into a reality. Your satisfaction is our top priority, and we will do whatever it requires to make certain that you are left happy with the construction company you chose. Our company's owner, Chandler Bell, had one primary goal when he started Addictive Builders: to help homeowners achieve the home of their dreams at a price that doesn't overwhelm their budgets. It's time to call a company that will take pride in treating your home with the care it deserves. Repeat business is the result of our professionalism and experience. This repeat business is proof that our quality exceeds that of our competition. We pride ourselves in knowing that our ability to transform structures into dream homes keeps our clients for life. When we work on your home, we respect it as if it were own. Choose us for quality. Choose us for affordability. Choose Addictive Builders today for the future well-being of your home and the satisfaction of your family for years to come.